Struggling To Keep Your Business Resolutions? So, 2018 ended, you had 2019 all figured out; it was going to be your year for business profits, but somehow it’s mid January and you’re still struggling to keep those New Year’s Resolutions. Rings a bell? As with our own personal lives, our business needs focus and dedication. However, without planning and structure, we end up losing that focus and get sunk into a vicious cycle of procrastination and poor results. In fact, only 8% of people achieve their New Year’s Resolutions. Ask a former smoker how they stopped smoking and they might tell you how many attempts it took and how hard it was to stick to it. Your business, without a laid out process and smart goals, will struggle to compete, to bring in more leads and generate extra revenue. While you dream away about your business goals, the competition is already doing it and taking your customers away. Goal – What you want to achieve. Are they SMART goals? Plan: Identify your target audience. Make lists! Stick to it! How are you going to get there? Action – Take small actions everyday towards your goal and you’re a step away from a successful business. Stop wishing, start doing it! Nothing speaks more to a customer than a Name they can relate to. Your business will appeal to them based on how you promote your brand. What makes your brand stick? Is your product animal or environmentally friendly? Do you engage and give back to the community? By having a strong brand you become an Authority in your Industry, driving more organic customers than your competitors. Examples of strong brand names are: Coca-Cola, McDonalds, Virgin. Brand building ties in with your Blog Content, where your audience reacts to it based on how you connect with them. Build a strong brand and you’ll have an empire! Unless you’ve been living in the 80’s, you might’ve noticed that everything these days is done online and that’s where you would want to be in order to have a successful business. Nothing wrong with Big hair, lacey shirts and leg warmers though! Ok, perhaps a bit less on the hair length, but you get the idea. Your website is your online presence and that’s where your customers will find you to learn about your business, your products and services, and how it meets their needs. In 2018 alone 47.3% of retail purchases were done online and that’s how powerful businesses online presence is when reaching their target audience. Customers know what they want and make their research before purchasing. Therefore it’s so important to keep UX in mind when building a customer focused website to stay ahead of the competition. Your website is up and running. Now you’re open for business and ready to sell to everyone. Right? Wrong! Your target audience is who you want to sell to. There’s no point selling a product without knowing who is more likely to buy your product or service. Your audience is your most valued asset. The wrong target audience equals less business and poor revenue. Engage with your customers, run polls, surveys. Find out who your customers are and go get them! Socialising is a great way of engaging with your audience. Who doesn’t like a good old conference? But when resources are limited and the average person spends a significant amount of time on their mobile, 52.2% in 2018 alone, a robust social media strategy and presence can help you reach your desired audience and drive consistent results by maximizing and optimizing your Social Media Marketing efforts. When building your online presence, make sure to use online channels relevant to your target audience. No point in boasting about how great your company is on LinkedIn if your target audience is primarily B2C and loves a good old Tweet! Whether it is via organic or paid Ads, Blogs or email, social media engagement is key to increase your conversion rates. Engage with your audience! Build a Blog; create a series of Blog Posts and use a platform to help you do your job. Platforms such as WordPress, Joomla or Tiki Wiki, among others, will help you to get there. Whether this is done in-house or through an agency, make sure your topics are current, relevant and that they speak to your audience. Content Marketing is key when it comes to capturing new leads. Have you ever heard of people who have grown up in a house with 5 siblings and was always last at the dinner table? It’s safe to say we know who was the one getting only the leftovers. Picture your business in the same position. When people look for your services online, if they can’t find you they won’t know you exist, then you will be the one with the leftovers; customers who only found you by chance. Want your customers to find you on the Search Engines? 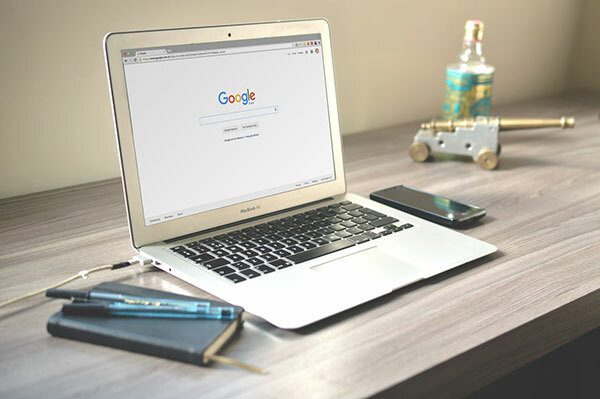 make sure to rank high on them by implementing a good SEO strategy and techniques that will attract your desired audience to your website first, leaving no room for the competition. Driving traffic to your website is important and that’s where a Defined SEO Strategy will help you in doing so. As an old colleague would say: “The best place to hide a dead body would be on the 2nd page of Google”. Who clicks past the 3rd result, let alone the 1st page when researching on Google? Be first! Be seen and your customers will find you. So you’ve got a new and exciting website. But how user friendly is it? Is it optimised for Mobile? The majority of online purchases is made via a mobile device; to have an online platform that caters for mobile users increases the probability of purchase since 70% of online purchases come from a mobile device. Unfortunately, this isn’t the case with the majority of small businesses, where 90% of such will only have a desktop website. By having a mobile optimised website your audience will feel appreciated and will most likely purchase from you. Keep in mind, a happy audience is an audience you get recurrent revenue from. Emails can be a very powerful thing and you can make use of the best tools in order to reach your audience. A good headline, good timing and great content is what can get your customers across the line as it is great for lead generation. When your content is good your customers engage and subscribe to your newsletters. This drives continuous traffic to your website and increases the chance of a repeat purchase. Having a business is great but having customers is even better. Have doubts? Ask any retailer on Black Friday! Your customers are your best advocates and the best ones to tell you what you’re doing right or wrong. Focusing on a customer based approach and on great Customer Experience; from your website navigation, to onboarding, customer care and post sales processes, you will have your customers behind you and advocating for your brand. Make sure you don’t confuse the two with Customer Care either. Meet your customers on a regular basis. Find out what they want. Are you meeting their expectations? Value your customers and you might be one step closer to Customer Loyalty! Do it right, and you will get customers for life! Your customers will thank you for any effort put into your business in order to help them in their buying journey, and will advocate for your brand when things are done right. As long as you devise a Customer Focused Strategy aligned with your Sales & Marketing goals following a defined process, you will certainly have positive results. Brainstorming sessions, weekly reports, strategy review; it’ll all help you in the end! All in all, having a business requires hard work, but why work so hard when you can work smart? Remember, your business is gold but your customer is king! Want more insights like this or wish to know how we can help your business? This years Learn Inbound event took place in The Mansion House on the 13th & 14th of September, and was once again a delight to attend. Guest speakers from all around the world came to share their thoughts and expertise on the changing digital marketing landscape. Anyone who attended is better off for it, but if you were unfortunate enough to miss it don’t worry; we’ve got you covered. Let’s take you through the highlights of the conference. Thankfully many keynote speakers shared their slides for anyone interested in inbound marketing to read online. Barry Adams is a well known specialist in SEO, and owner of “Polemic Digital”, an SEO agency based in Belfast. Barry’s best work comes in the form of his expertise in Technical SEO, travelling Ireland to speak about the three pillars of SEO; Technology, Relevancy and Authority. His presentation on “Technical SEO in the real world” was one of the highlights of the Conference. Make sure to check out Barry’s advice below and apply it to your website.
. @BritneyMuller's session at #learninbound was so awesome people we're pounding on the doors to get in. Literally. One of the more intriguing decks of the week came from Orianti founder Aleyda Solis, who is also an experienced international SEO consultant, author and speaker. Aleyda gave a presentation titled “OK, How can I rank for Voice Search”, capturing the minds of even the other keynote speakers at the conference. The presentation gave more realistic predictions on voice search and its impact on SEO and display going forward. Her slides already have thousands of views since the event; so check out below to make sure you don’t get left behind! Ian is the founder of the agency “Portent”, who cover all aspects of internet marketing. He spoke about Content workflow using Github and Markdown. This article is a must read for all content creationists, speaking through structure and also different tools to help you help you create and publish the best possible content. Check out the tweet below, and take a read of Portents blog for more insights on everything digital. Dana DiTomaso is the president of “Kick Point Inc”, and spoke about an often overlooked aspect of digital marketing; reporting. These slides were eye-opening to anyone working in an agency who has delivery monthly or weekly reports to various clients. Dana’s advice on communication and language when talking to customers with different goals and ideals was particularly helpful. Check out her slides below. Paddy is the co founder of “aira.net” and the publisher of the linkbuildingbook.com. Paddy also spoke about content, this time about how bets to build up your inbound links. The presentation, “Content driven link building: what does good look like?” went down a treat, describing how its best to have a process and a data-led system in place to build up your links. Check out the slide deck below. Thank you for having me #LearnInbound! Here are my slides – Content-driven link building: What does good look like? https://t.co/gPn0TIHfjF Now, where's the bar. More content marketing goodness came from well known marketer and speaker Oli Gardner, who co-founded the landing page optimising agency “Unbounce”. Oli kicked off day two with one of our favourite talks, not just because of his knack for public speaking or creative slide deck, but the insightful information on Google Tag Manager. Read “Content Marketing Is Broken & Only Your Mom Can Fix It” below. The event was filled with amazing guests, not just the ones above but all the men and women who brought their expertise to the table. The event was run ever so smoothly and I suspect it will once again next year. Thank you to the speakers who shared their slides, and if we missed any decks be sure to share them with us! Check out the Learn Inbound Facebook page for photos of the event. Linkedin offers an online platform for networking, social selling and more for business professionals in all industries. If used correctly, it can be a gold mine with endless sales leads for your company. 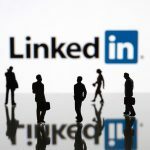 Linkedin can be a difficult platform to really tap in to, as often it comes across as a clutter of random connection requests and mundane or repetitious industry updates. We here at Evolution Digital are experts in extracting leads and executing your business goals through the online professional network. We get past the clutter to identify the key benefits of having a prominent, consistent and well-glossed presence in the right areas of Linkedin. 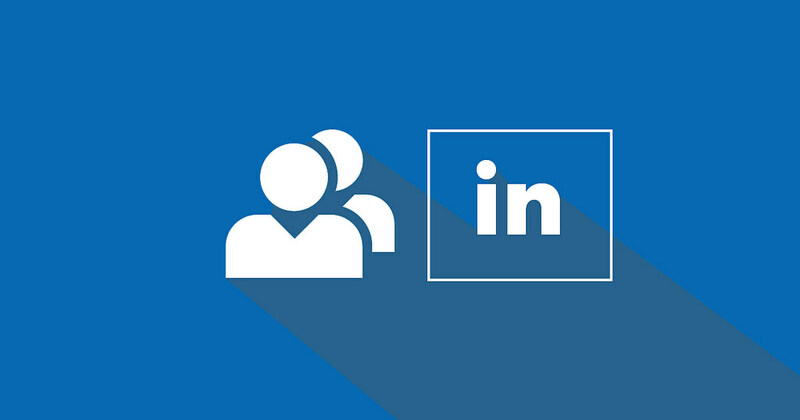 Linkedin offers Directors and Managers the ability to analyse the profile of their prospects; to identify the quality of leads by delving into their professional background. Linkedin is a recruiters dream, with CVs, interests, education and previous work projects all attached to better inform your decision before picking up the phone. Linkedin gives you the opportunity like no other to present yourself and your brand’s image in a circle with other working professionals. Separating yourself from your competitors on Linkedin can give you the edge when it comes to standing out against the crowd and becoming the no.1 choice for Linkedin can give you the edge when it comes to standing out against the crowd and becoming the no.1 choice for whoever is your target audience. Linkedin has over 500 million members, with over half of this logging on each month, and a further 40% of these then logging on every day, proving that it is ripe with opportunity simply waiting to be excavated correctly. Show off your business locations and staff, presenting in a professional yet appealing manor. Linkedin posted the following infographic earlier in the year, showing that marketers identified Company Pages as the no.1 aspect of the social network that they needed help with. Linkedin was not traditionally associated with video, however things began to change in 2017 when they introduced the native video option for businesses. Since then, they have expanded their horizon further with the advent of sponsored video ads. 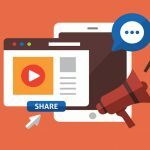 Linkedin’s Senior product manager Peter Roybal announced last year that users are 20 times more likely to share video content that any other format. This proves the potential impact of your ads or campaigns provided there is engaging content, and you captures user’s attention early. Linkedin is effective because of its primary audience; the prominent presence of middle and upper class individuals. Not only is there a strong presence of upper level individuals, but they are also amongst the most active. About 45% of article readers on Linkedin are in the upper ranks of industries, such as CEOS, VPs, managers etc, so you know your time is not wasted. This automatically makes for higher quality leads, particularly if you seek out the right groups. As of August 2018, there are over 2 million Linkedin groups with over half of its users being a member of atleast one group. Linkedin groups had lost some steam in the last couple of years, but just this month they have announced some changes to breath life back into the area. it’s 2018, and your business needs to have a social media strategy to get your business out there! What do you want to happen to your business with social media? Do you want to increase sales? Drive traffic to your website? Increase brand awareness and let people know about your service or products? Whatever it is, you need to think in advance and have a goal. People have this mindset that the more social media platform they are, the better, but sometimes that’s not the case. You have to consider that your target audience may not be active on Twitter or Instagram etc. Remember, time is precious so focus your time and resources on specific online platforms where you are definitely will find your target audience, this is where you need to do your homework and research where your audience hangs out? Where are they primarily active? Facebook, LinkedIn, Instagram etc.? What time do they engage with your posts? Morning, after lunch or night time etc.? You’ll then be able to decide where and when to invest your time. Sometimes having competitors can be annoying because your target audience is being divided, however, when it comes to researching your social media strategy, this is where they come in handy. You can learn from a direct competitor or a group with similar objectives as your business to help with your business strategy. Observe what they are doing and what’s working for them. You’ll be surprised at how much you can take in from your competitors because this will help you save time in having to test everything yourself. Remember, the key is to do something similar but do it better! Be creative and get your business noticed! Always consider what you are posting. If you are posting random photos, links etc. for the same posting then people will not take you seriously. You want to display content that is relevant to your business. Material that will bring people to your website. As we’ve mentioned before, time is precious in any business which is why we suggest you schedule your posts in advance to save time. 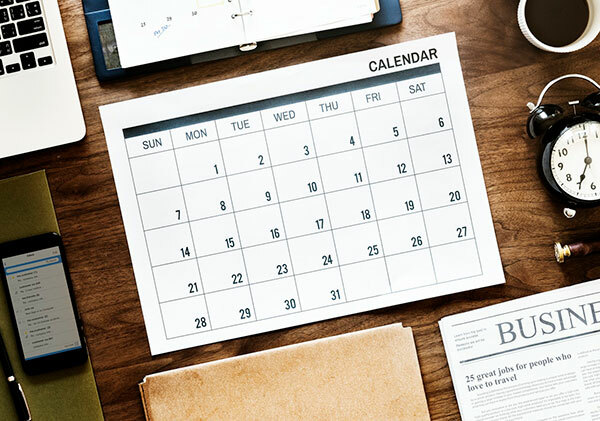 A social media schedule can sometimes be challenging to commit yourself to entirely, but it is time efficient, and it allows you to publish when your audience is most likely to engage. Always think in advance, consider what will happen in the future and schedule that in. There are many useful social media management tools out there where it allows you to schedule all of your posts on different platforms, and our favourite is HootSuite. 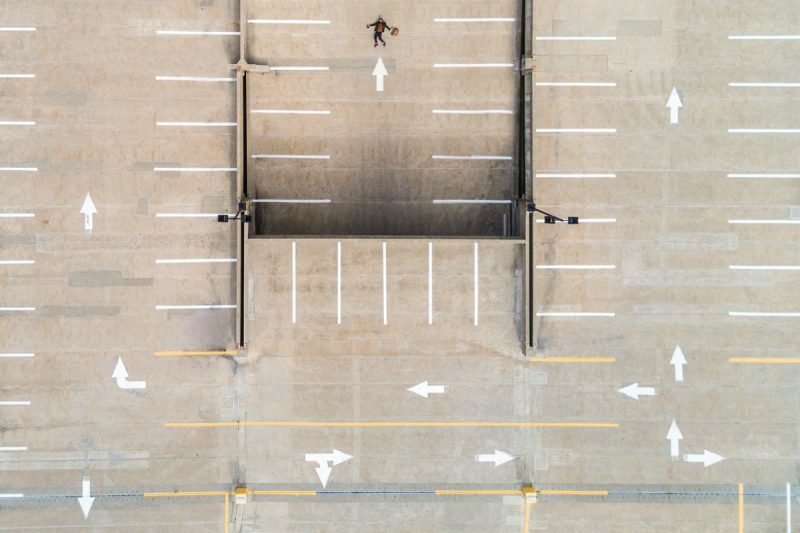 Some are free, others are not, but this is where you need to decide on what works best for your company. You will never have a perfect social media strategy because social media is continuously changing. You need to sit down maybe once a month and keep track of the numbers if your plan is working or not. Go back to your objectives, if it was to increase sales or traffic. Have you seen much difference, go back to the source and see where it came from, whether it’s on Facebook, Twitter, LinkedIn etc. Remember, you can’t report success if you don’t know what’s happening. Our main point is that a social media strategy is more than just posting something for the sake of a new post. It requires time, creativity and work. Take it step by step, and you’ll slowly but gradually find the strategy that will work for your business. If you have any questions about social media strategy, Evolution Digital can help. Be sure to get in touch with us on 01 288 5118 or drop us an email on info@evolutiondigital.ie and we can have a chat! How Conversion Rate Optimisation can help your business. Conversion Rate Optimisation (CRO) is about making sure you are directing the visitors on your website towards the action that you want them to complete. This could be anything from purchasing a product, completing a contact form or signing up for a newsletter online. In other words, you want to convert online visitors into customers to increase your sales by giving them a positive experience on your website. The process of CRO will provide you with a better understanding of how visitors make their way around your site, what actions they take and what’s preventing them from completing your goals. How does Conversion Rate Optimisation work? As a business, you must understand that your current customers are your best customers. It’s much easier to maintain a loyal customer relationship than to make a new one; this also goes for your website; your best pages will continue being your best pages. With a good CRO strategy plan, your best-performing pages can even be better than before. Instead of focusing on the average pages or spending time and energy creating a new page that may or may not perform well, you can put more effort to the top pages that will give you substantial results. You need to have a good idea of your current website analytics. How many people visit your website? What are the most and least visited pages? What channel are your visitors coming from (organic, direct, social, etc.)? You can use tools such as Google Analytics to help you find answers to these questions. Researching who your potential clients are is very important, where they are from and what they do for a living, this will give you a better idea of how to sell your products or service to them. After testing, review your results and use analytics to determine if the outcome was significant or not. If the results were positive and saw a dramatic increase of conversion, i.e., more people had filled up the ‘contact us’ form because it was moved to the top of the landing page instead of being at the bottom. Take note of the change and apply it on to other parts of your website to enhance the page’s performance. One of the world’s biggest online retailer Amazon revamped their website design so many times over the years before finding the right method for them. Until you find the correct CRO strategy that works for your online business, it will be a constant trial and error, so don’t worry if you don’t see the results you were hoping for overnight. The importance of Conversion Rate Optimisation. Increase revenue: CRO identifies the different opportunities for you to boost your revenue and conversions. Increase customers: CRO focuses on the needs of the right customers for your website. You can also understand the objectives of your visitors on why they are visiting your site. Competitors: The more visitors you convert to customers means you are doing better than your competitors. It also says that your website traffic is increasing and your social media activity is improving. How can Evolution Digital help? You have to remember CRO is not about increasing the numbers of visitors to your website but converting them into customers. With time and the correct actions, a good CRO plan can increase sales, generate business and help build a loyal consumer for your company. If you have any questions about Conversion Rate Optimisation, Evolution Digital can help. Be sure to get in touch with us, and we can have a chat! UX / UI Design trends for 2018. 2018 is here it’s time to look at UX / UI design. What big trends will we see impacting it over the coming year.